Easy cleaning of hard floors, upholstery and more! EXTEND THE USE OF THE RUG DOCTOR PRO MACHINES! 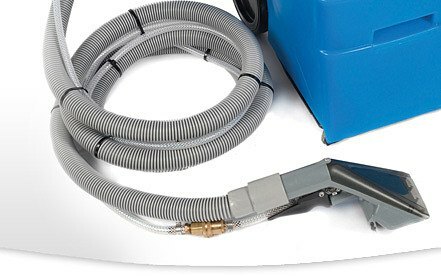 With high-efficiency accessory tools that connect directly to the Rug Doctor Pro cleaning machine, it’s no problem to expand your professional cleaning system to include hard floors and upholstery. The process is designed to eliminate the mess and hassle of dirty sponges, rags and mops. The Rug Doctor Pro system is a fraction of the cost of competitive models. Rug Doctor Pro has perfected a high-performance, low-cost commercial cleaning process that delivers professional results every time on carpets, hard floors, and upholstery. Designed for water-safe surfaces (always use according to label instructions). Removes dust, dirt and grime before it falls onto carpets or clogs air filters. Excellent for offices, apartments, schools and other commercial buildings. Keeps high-maintenance areas such as kitchens, bakeries and shower rooms cleaner. 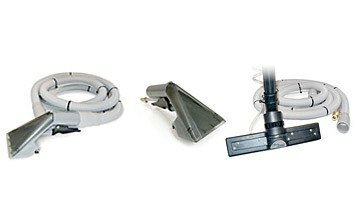 The Rug Doctor Pro along with the full range of attachments take care of a wide variety of cleaning jobs in hotels, schools, office buildings, restaurants, churches, health care facilities, athletic clubs, theatres, retail stores, small businesses and so many more. cleaners, building maintenance professionals, vac and floor care equipment dealers and restoration companies. For nearly 30 years, the Rug Doctor hot water extraction process has been legendary for ease-of-use, friendly design and reliable results. The system includes easy to operate equipment, high-efficiency cleaning products and a unique soft-bristle vibrating brush that gently lifts dirt out of carpet fibres. Over 6 million users a year choose the Rug Doctor system to get outstanding performance with minimal time and effort.